StorageMart Brooklyn is more than just self storage, we're "The Friendly Storage People". Our well-trained staff will work with you to ensure you find the storage solution best suited to meet your needs. We're also constantly looking for ways to enhance the services we provide, guaranteeing you the greatest value for your storage dollar. 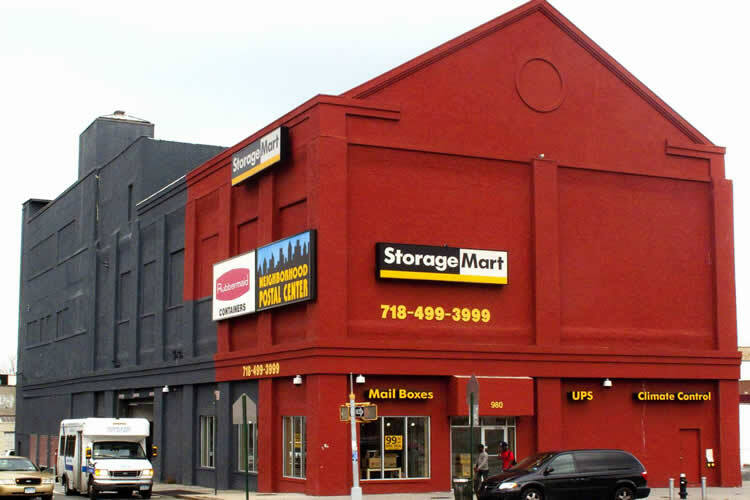 This Brooklyn StorageMart is ready to answer all your questions and provide the best service. "The 38 st and 4th Ave location had the best customer service I had in a long time. I was having a hard couple of months & had to move my belongings out of the storage unit, need less to say thank god Abe the manager was there to help. His customer service was excellent & was very understanding of the hard times we were going thru. He helped expedite the move out with out a blink in his eye. Its rare to come across people who are caring & willing to help now a days. Abe the manager is one of those jewels you come across seldom. Thank you to storage mart & having the proper staff there to help in our time of need. I would recommend using this storage place to anyone located with in the 5 boro's, Thank you for your time & consideration to Abe the manager." "Very accessible and the staff is very helpful! " "Great storage unit....I've used them over and over and great service as always. I want to personally thank Cesar for his exceptional and outstanding service for my husband and myself. Cesar went above and beyond for us on Saturday and we are truly grateful for his service. 5🌟🌟🌟🌟🌟.....Cesar you are an incredible asset to this company!!!!" "Great facility. Nice employees. Dave is amazing. Highly recommend to anyone looking for storage units in Brooklyn. " "Great service from Dave on several occasions...and great prices too!!!"